Prefer Counter Strike style games over Call of Duty? Try my list of free FPS games like Counter Strike that features other shooters with a more tactical approach to gameplay and aren't just a run and gun affair. As a huge fan of the original Counter Strike I don't really fit into this current era of Call of Duty and Battlefield games, I prefer something more tactical and simple that I can pick and casually play when I want without too much trouble. If you're like me then I hope you'll like the options that I detail here. I've decided to keep this list focused completely on free to play games since I don't believe in paying for a FPS experience anymore since there are so many great free options like Counter Strike out there. Please don't hesitate to share your own recommendations through the comments (bottom of page) and vote for your favourite game in the Counter Strike franchise. 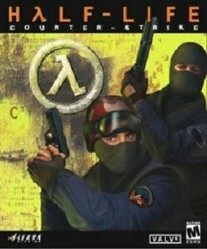 Which Counter Strike Game Is The Best? I've played a lot of free shooters in my time (and I mean a lot), any FPS game that I can get my hands on for free I will at least give it a shot because it's a genre I really love and I've reached a point where I don't think the latest Call of Duty game is worth my money. Combat Arms comes from Nexon, a company that I've had good fun with their other offerings over the years. Combat Arms is definitely the biggest free to play shooter out there which is always an important requirement for me, I want to be able to jump onto the game and have a wealth of options, Combat Arms definitely delivers this. For those of you that want games like Counter Strike that stick closely to the formula you'll find that Combat Arms offers a great search and destroy game mode that feels very Counter Strike like and it's always got people playing it. The MMO features are also really deep in Combat Arms so creating a character and load out that suits you is never difficult and you do get a great constant sense of progression with the ranking system. Of all the free games like Counter Strike I've played over the years I have to give Combat Arms the title of the top option and I hope you'll try it out and agree. Ghost Recon Online is a blend of first and third person elements so it's not something that everyone will enjoy. The game is definitely pushing the tactical approach, it isn't a game that you can just charge through and encourages you to co-operate with your team mates and in my experience this does actually happen in the majority of games (now that is a rarity). The game is mostly a third person game and switches to first person when you take cover, it's a strange flow of gameplay that hasn't been done before (and usually I avoid third person style games) but it actually comes together nicely and it has the tactical and teamwork focus that I love in Counter Strike. It's a futuristic setting that awaits in Ghost Recon Online with classes and equipment that does feel right out of a science fiction movie with the ability to deflect bullets and even cloak making careful use of these abilities just as important as the shooter elements. While it might take some adjustment at the start if you push through your first few games you'll come out the other end with hours of enjoyment and a game that you'll keep returning to from time to time. For someone that generally doesn't like third person shooters I definitely seem to like recommending them to people who are searching for games like Counter Strike. The Gunz Duel (and it's upcoming sequel) are two games that I play on and off from time to time. I find them very easy to get into but I also consider them to be quite deep and tactical depending on the game mode. I'm also a big fan of what GunZ offers in the single player department with great options to challenge yourself alone if you want a break from the multiplayer experience (and other players). There are also good options available for co-operative if you want to learn the ropes and remove some of the brutal difficulty curve that comes with other games. What I really like about GunZ is the action style of shooting, you're always getting responsive feedback on your shots and combos that easily let you know the status of your opponent without all the guess work. It also managed to be fast paced with the dash feature when it needs to be but remains the tactical elements of much slower and thought out games like Counter Strike. Guns and the upgrade path is the last part that's worth mentioning in the GunZ, it's got a great equipment system where you've got control over all the assets you wear. The stat boosts are minor to keep things quite fair and equal but they can make quite a large difference in your playstyle so it still manages to feel in impactful. The GunZ series of games is one that I rarely see recommended as a free first person shooter and since I've enjoyed it so much I feel like I owed it to be included here, I'd love to see more people playing it (not that population is an issue it just doesn't get enough coverage in my opinion). Know Some Other Free Games Like Counter Strike?